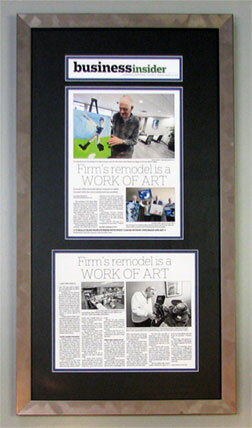 Corporate Events - by Frame Minnesota, Local Frame Shop and Custom Framing Service. 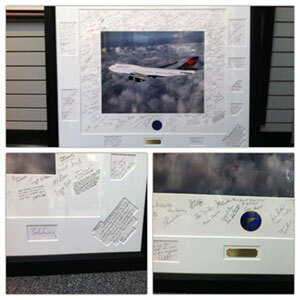 Looking to commemorate an event, milestone, or publication related to your business? We can help! Our custom framing services can take any photos, clippings, or articles you have and create a wonderful piece of custom framed artwork that you can display. 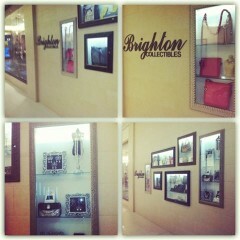 Need help creating an eye catching display? Maybe a professional showcase to feature your products? Our experienced professionals can work with you to create a vision, and then make it happen! Let us know what we can do for you. We can talk on the phone, meet in our office, or visit your location on site. 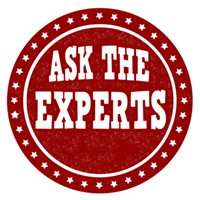 We’ll help you by answering your questions and also reviewing the options, materials, and pricing to fit your exact needs. Looking for fun retirement party ideas, or maybe just a great way to commemorate a retirement? Retirement signature mats are a great way to have fun and capture the memories with co-workers, and make an excellent gift! Whether you choose traditional, or something a bit more unique – custom retirement signature mats can serve as an attractive and functional party decoration. Co-workers have fun interacting and signing their names, often with small quotes to remember. The retiree will appreciate the unique gift, and have a great way to remember the friends and co-workers. Many corporate retirement parties feature a table or area designated to display photos and clippings of the retiree. Sometimes it can be just a few photos, or a collage.